The Ponca City Police Department, partnering with the Oklahoma Highway Safety Office, reminds drivers that local schools will be observing fall break this Thursday and Friday. Students will be riding bikes, walking and playing in their neighborhoods and in parks these few days and drivers safety is of upmost importance. Since this is the first real break of the school year, the students may not be thinking about street safety as they are out and about. 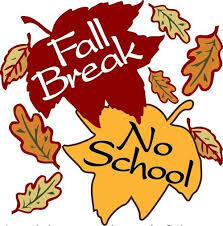 The flashing lights in the school zones will be disabled for the two days of fall break. The Ponca City Police Department received a grant to place more officers on the street enforcing traffic infractions through a competitive grant process from the Oklahoma Highway Safety Office.